Somewhere in the Middle of America – Geographic Center. 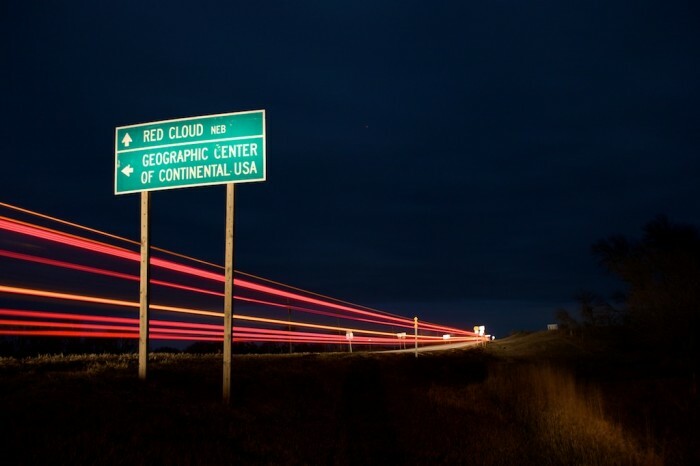 Eighteen miles from the geographic center of the conterminous United States, Red Cloud, Neb., a town of 1100 and shrinking, faces some of the same problems confronting rural and small towns across the country â lack of jobs, the decline of the family farm and an aging population. But Red Cloud, the hometown of eminent American novelist Willa Cather, continues to hang on despite these challenges.